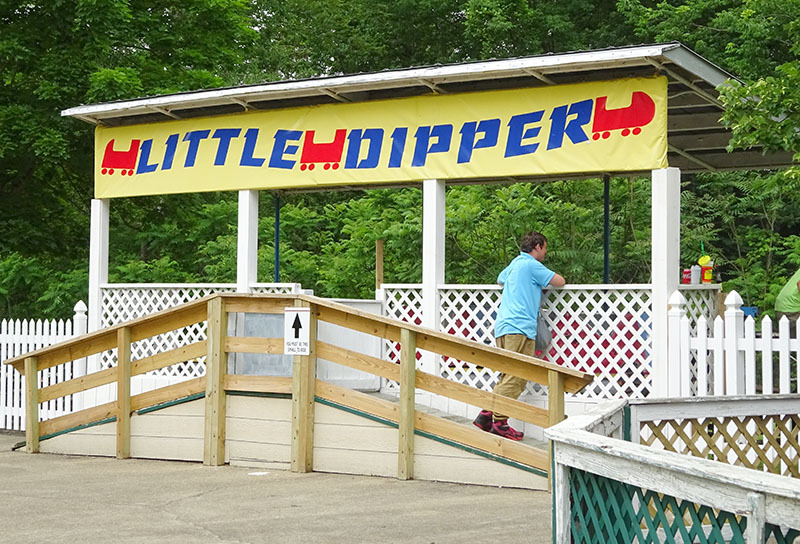 Kids can experience their own pint-sized rollercoaster ride on Little Dipper, which came to Conneaut's Kiddieland in 1950. Little Dipper was built by the Alan Herschell Company, and was installed at Conneaut Lake Park's Kiddieland section in 1950. It has three cars, each seating two rows of two riders. These are original and are painted red and blue. They have the initials AH displayed on the front of each car. The rollercoaster features an oval layout, with a bunny hop hill half way around. It is only available to children - adults are not allowed to ride.